Wednesday night at the Santa Barbara-Ventura Chapter of ABC Mary Dann-McNamee's talk explored the dynamics of working with leaders and followers. She provided insights and tools that will serve the Santa Barbara ABC Community as they journey through any type of intimate event planning situation; such as a mother-daughterplanning a wedding, teenager and parents planning a mitzvah or a corporate planner and their team planning a gala or corporate meeting. The presentation was based on years of experience working with couples in a therapeutic situation combined with her expertise in special events. The talks’ main objective was to identify the Leadership Personality, Leadership Traits and the ability to motivate and identify traits that make up a good Follower or “Team Member???. She explored how important it is to recognize the balance intrinsic to creating a positive outcome for the team. 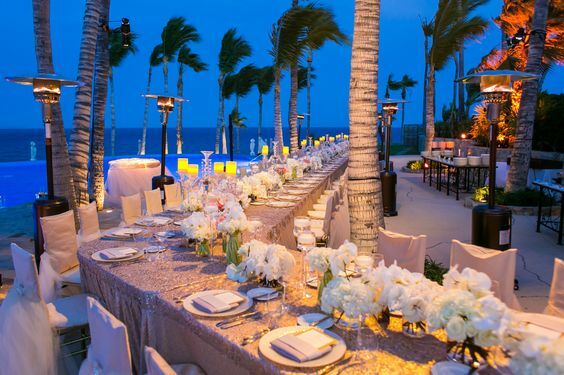 She and her panel of experts, Nikki Khan of Exquisite Events, and Colette and Kaitlin Lopez of La Fete Weddings, identified how good leadership affects followers allowing the team to succeed. They also shared how to recognize specific personalities within a planning environment and to leverage each individual’s unique ability to contribute. The presentation ended with an insightful discussion on how these personality traits manifest within mother-daughter relationships in a Legacy Business. The Event was hosted by the Ventura Museum of Art and Ariel Yve who provided introductions and a beautiful setting for the evening. After photos, Leena and Karan rejoined their guests with a grand entrance at their western-influenced dinner reception, Leena in a gorgeous gown and the groom in a black tuxedo. The bride and groom spent the rest of the night mingling, dancing and dining on delicious food with their guests in a gorgeous ballroom filled with flowers in creams and whites, shimmering gold Chivari chairs and every last beautiful thing Leena and Karan could imagine for the final hours of celebrating this blessed union with their loved ones. While Sangeet was setting up and getting into swing, the wedding ceremony and tent structure were being set up at Dolce Hayes Mansion. The Punjabi groom’s family held a traditional Sikh ceremony for the couple at Gurdwara temple on Saturday, rising Sunday for the traditional South Indian ceremony at Dolce Hayes. Karan made an awe-inspiring entrance atop a horse, accompanied by his family dancing and jumping to the resonating sounds of drums. Leena’s family stood waiting beneath a beautiful golden custom-made Milni arch gateway where the groom descended from his horse to greet his bride’s mother before the ceremonious familial exchange of colorful garlands of flowers demonstrating the merging of the two families. 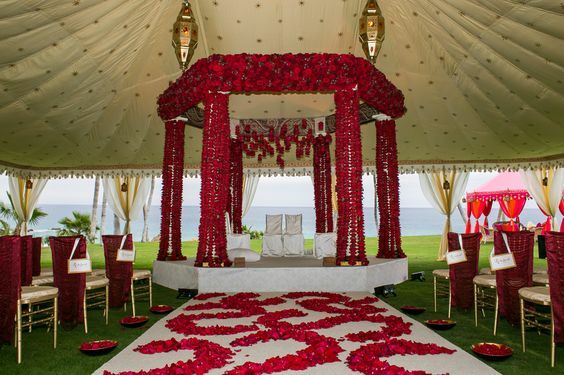 Karan was then led to the stage to take his seat with his parents at the beautiful custom designed Mandap with its soft gold drape and lush red roses before a brief prayer ceremony and placing of the curtain before him. 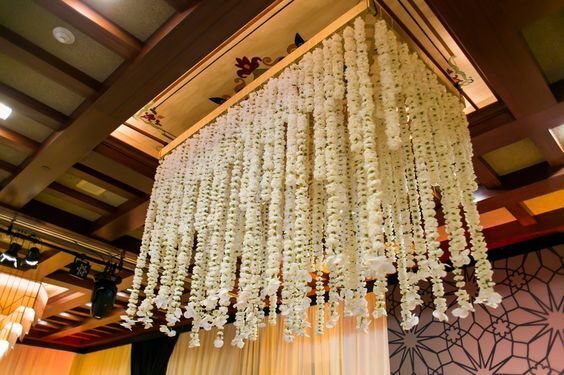 When Karan was in place, the bridesmaids entered, holding votives and preceding their bride who would come to stand on the opposite side of the curtain with a beautiful garland for her groom. As the curtain dropped, she saw Karan for the first time as her groom and the two exchanged garlands. Then Leena took her seat and the officiant, or Pandit, began the marriage rituals and ceremony. The South Indian wedding ceremony is typically about one and a half to two hours and the Pandit guided the guests, which included a large number of Americans, through the rituals, explaining the importance of each element and movement of the ceremony and creating an intimacy and understanding between the families and guests. As the ceremony concluded, the family members and guests showered the newlyweds with petals before the guests went for high tea and light snacks in anticipation of the cocktail hour with tray passed h’ors d’oeuvres while the family stayed at the Mandap for photos with the beautiful couple. After a night of rest, Leena and Karan’s guests gathered with them again, this time for the Sangeet. 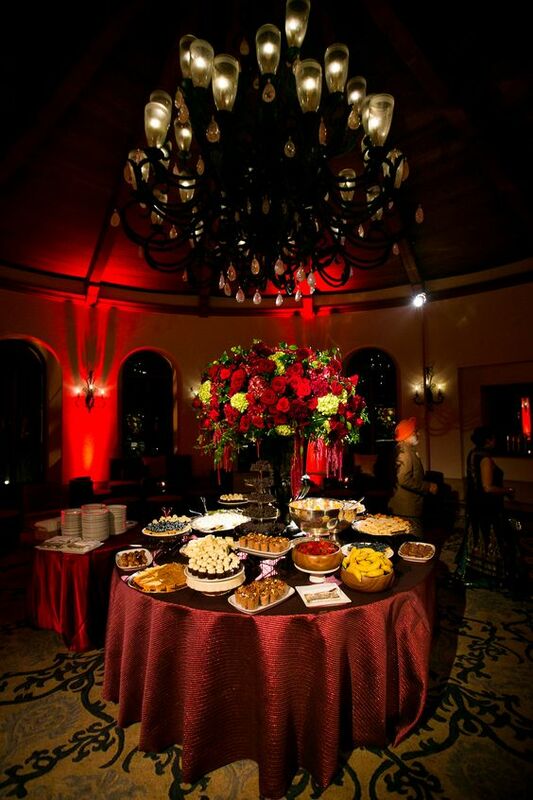 The Sangeet celebration is one that is fun and festive, full of dance and celebration. Perhaps one of the most breathtaking moments of this particular event was Leena’s grand entrance in a traditional and ornately decorated Doli, carried by her male cousins. Upon her graceful exit from the Doli, Leena enchanted her guests with a beautifully choreographed traditional dance, welcoming them all to this celebratory evening. Traditionally, Mehndi is a simple, casual event; a fun way for close family and friends to come together and bond over the excitement of the festivities’ commencement. 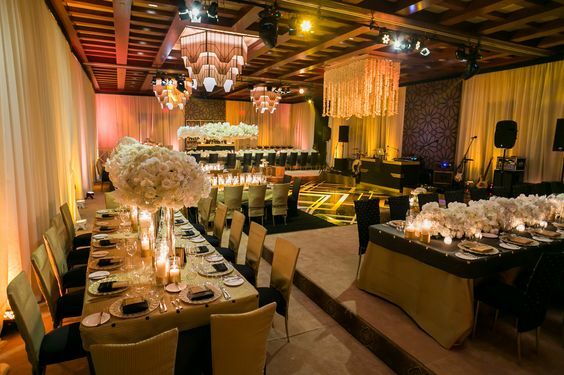 In keeping with both the traditional and casual tone of this event, Nikki used a gorgeous tent featuring scalloping and chandeliers with décor from Raj to create a beautiful, relaxed atmosphere filled with bright shades of orange and yellow by using a combination of low and floor seating, ottomans, low tables and ornately woven and richly colored Indian rugs. 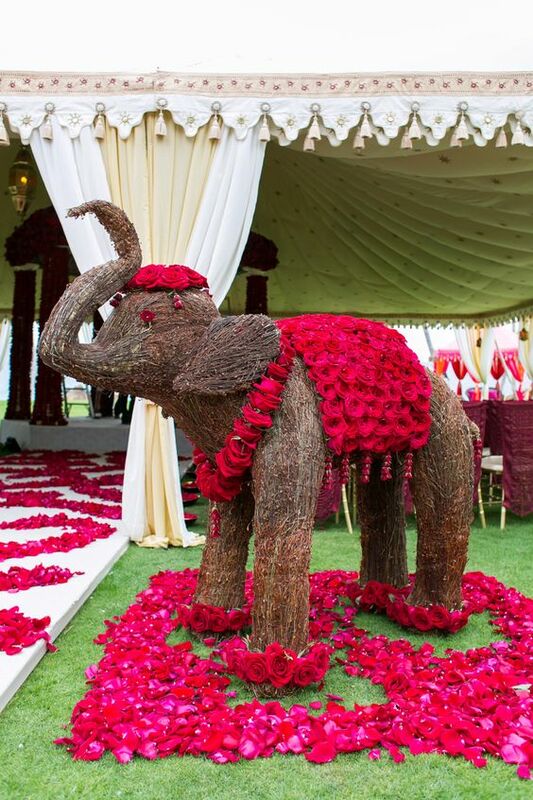 A semi-circular stage was created as the focal point of the room where the bride and her bridesmaids would receive their henna before the Leena, a classically trained dancer, danced a traditional Bharat Natyam for her guests. What a beautiful day on the coast in Laguna. Complete with a gorgeous bride, Mona, and her lovely family and friends. 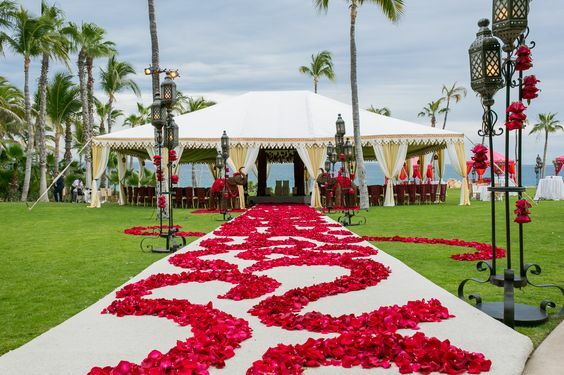 The Hindu ceremony took place on the lawn overlooking the beach on a cool sunny day in November. 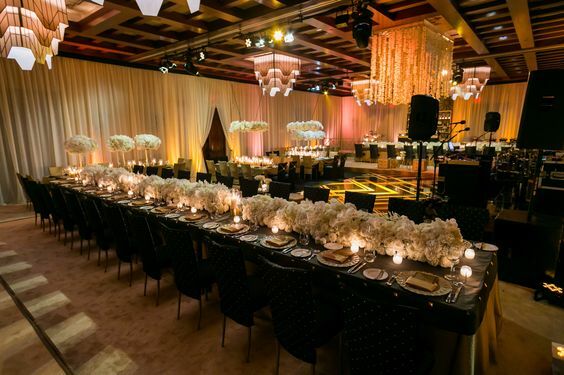 The reception was held in the ballroom later that evening and was complete with custom linens, phenomenal florals, high gloss dancefloor, bedazzled cake, and great music. 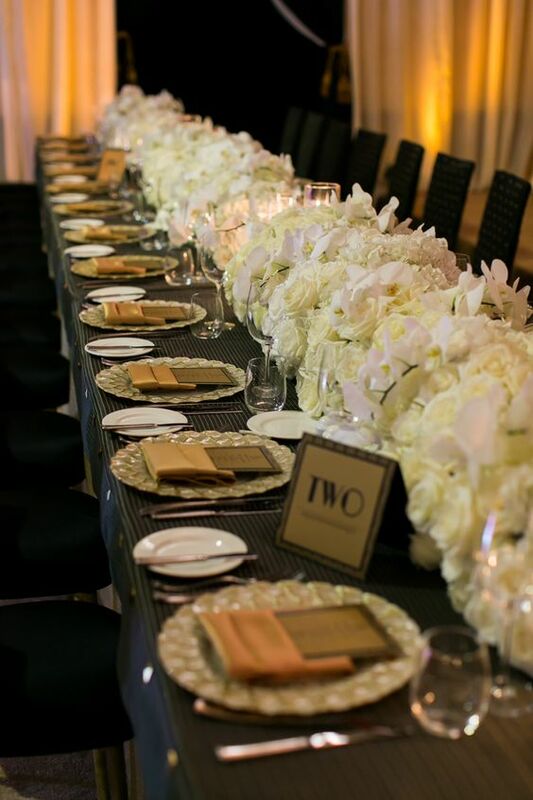 The guests had a wonderful time and Exquisite Events had so much fun running this event! Enjoy!